The difference between laws (statutes) and regulations is sometimes misunderstood. Congress, and only Congress, enacts laws. The Motorboat Act of 1940, the Federal Boating Act of 1958 and the Federal Boat Safety Act of 1971 are all examples of laws which were enacted by Congress. Federal executive departments such as the Department of Homeland Security and administrative agencies such as the United States Coast Guard write regulations to implement the authority of laws. Regulations (as well as Executive Orders and Proclamations) are subordinate to laws but both laws and regulations are enforceable. For example, the requirement for a boat manufacturer to notify owners and recall, repair or replace defective boats Defect Notification appears in the laws (46 U.S.C. 4310). The regulations governing Defect Notification (33 CFR 179) are merely the reporting requirements, i.e., when the initial report and subsequent campaign update reports about progress must be submitted, what they must contain, etc. The United States Code is the official compilation of codified laws by subject; the U.S. Statutes-at-Large is the official chronologic compilation of all laws; and the Code of Federal Regulations is the official compilation of regulations. The United States Code contains a consolidation and codification of the general and permanent laws of the United States arranged according to subject matter under 50 title headings, largely in alphabetical order. The Code of Federal Regulations (CFR) codifies the general and permanent rules of Executive departments and agencies which have been published in the Federal Register. Examine the laws and regulations from your own state or territory. Get detailed information on the rules of the road. 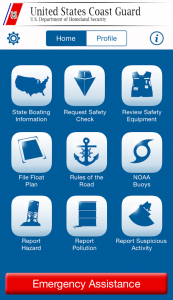 Find information about proposed regulations, meetings, and other items of interest to the boating public. Includes the federal safety regulations for recreational vessels with which boatbuilders must comply.